Spouses who are considering a divorce or negotiating a divorce need to understand how the recent federal tax law, signed in December 2017, affects their taxes. 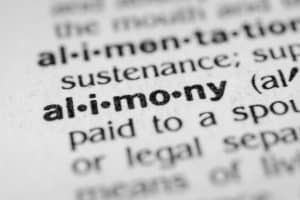 The main change in the tax law affects the payment and deduction of alimony. The new law also affects how businesses are valued which, in turn, affects the equitable distribution of property. The amount and eligibility for deductions and exemptions was also changed. Many of these changes are effective January 1, 2019, which means there may be strong advantages to negotiating a divorce agreement by the end of 2018. There are two main changes to how alimony is treated. As of January 1, 2019, the person who receives alimony will not have to report the alimony as taxable income. The spouse who pays alimony will not be allowed to take a tax deduction for the amount of the alimony payments. This shift in tax policy is an incentive for the person who must pay alimony to agree to the payments by the end of this year, 2018. The shift is also an incentive for the person who will receive alimony to wait until the first of next year, 2019. It doesn’t matter when the alimony payments are paid. They key is that the agreement and/or order must be completed by December 31, 2018. Otherwise, the new tax law will apply to all alimony payments. Spouses need to also understand that modifications to any current agreements made after December 31, 2018 may be subject to the new tax law. The new tax law also, according to BNY Mellon bank, affects who is responsible for paying the taxes from alimony trusts. For trusts formed January 1, 2019 or later, the grantor spouse will be required to pay the taxes on the income the trust generates. Currently, the beneficiary of the alimony trust pays the taxes on the income the trust generates. When spouses have children, a key negotiating topic is which parent can take the exemption of the child for income tax purposes. The new law suspends the exemption (neither spouse can claim the exemption) until December 1, 2025. Since many younger children won’t reach majority status until after 2025, it’s important to think long-range about which parent can claim the child exemption starting in 2026. Between 2018 and 2025, some deductions that could only be used if the deductions were 2% more than the taxpayer’s gross income have also been suspended.